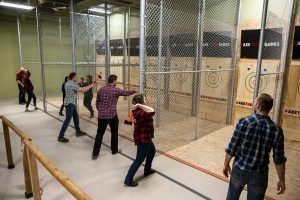 Axe Games: Axe Throwing Omaha | Book your axe throwing event today! 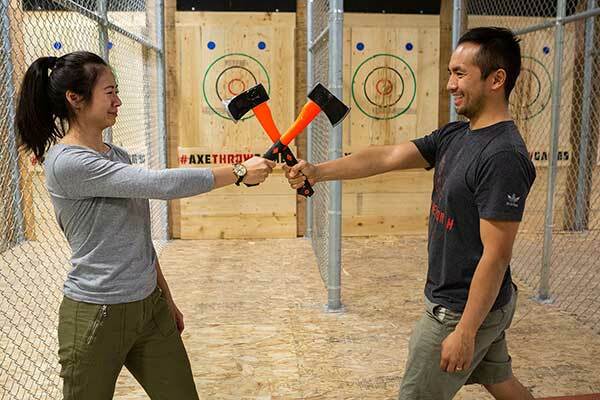 AXE GAMES IS A FAMILY FRIENDLY AXE THROWING FACILITY FOR AGES 10 & UP. The Omaha Axe League Starts Next Wednesday April 24th! Do you have what it takes to be crowned the axe throwing champion? Only $75 for 6 weeks of game-play in the inaugural Omaha axe throwing league! With holidays just around the corner consider booking your work holiday party at Axe Games Omaha! This year do something fun & unique for your work team-building event. 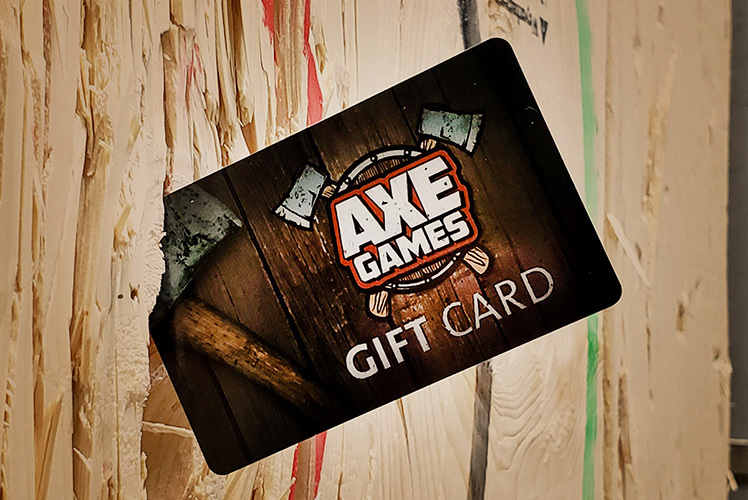 An Axe Games gift voucher makes the perfect gift for friends, coworkers, or family! Online gift vouchers are available in any denomination for both our 1 hour & 2 hour private tournament axe throwing sessions. 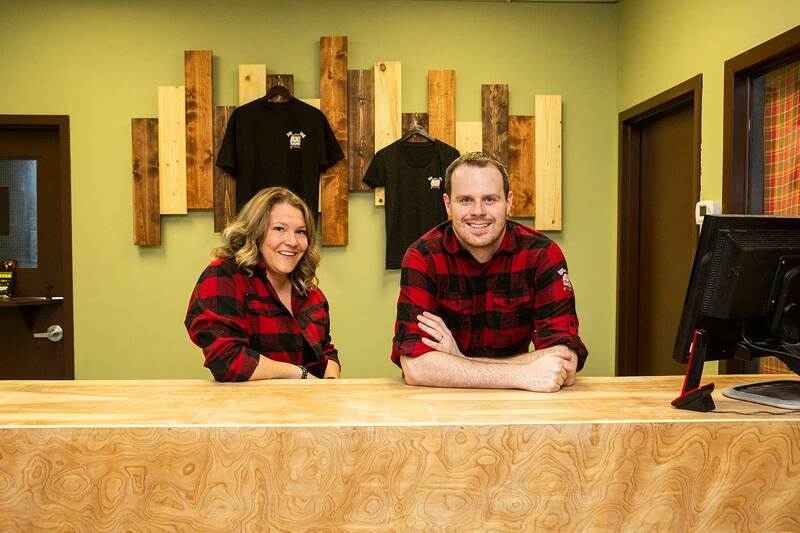 Axe Games Omaha can host up to 40 people at our axe throwing facility. We can accommodate food & drinks for your work team-building event, birthday or bachelor party, or any other event you are hosting. WHAT IS THE SPORT OF AXE THROWING? The sport of axe throwing is very similar to darts in scoring, but instead of using darts, we use axes to throw at targets! At Axe Games Omaha we aim to revive the heritage sport of axe throwing. We are dedicated to providing a fun, friendly and most importantly safe environment for people to get out, be active, socialize, learn a new skill and have a great time! 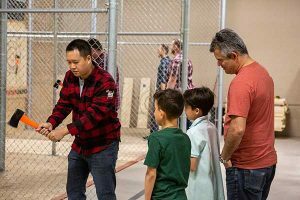 At Axe Games Omaha we allow participants ages 10 and up to participate in the sport of axe throwing. 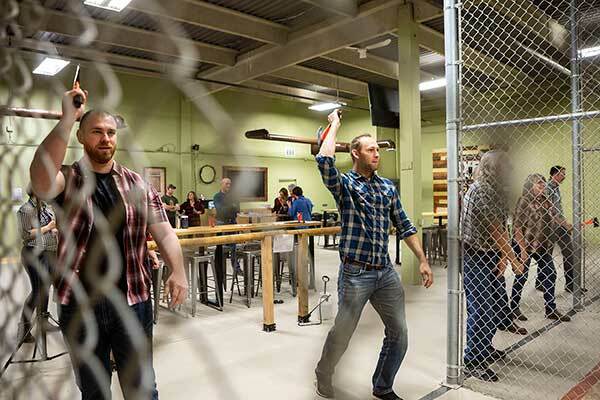 We have 6 axe throwing lanes in our facility, which can accommodate events of up to 30 people. 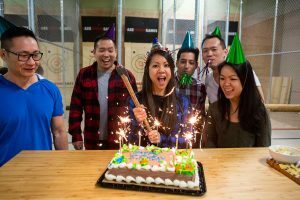 Axe throwing is a great activity for any event: work functions, birthday parties, bachelor parties, or just a fun night out with friends! Axe Games Omaha allows players from ages 10 and up! 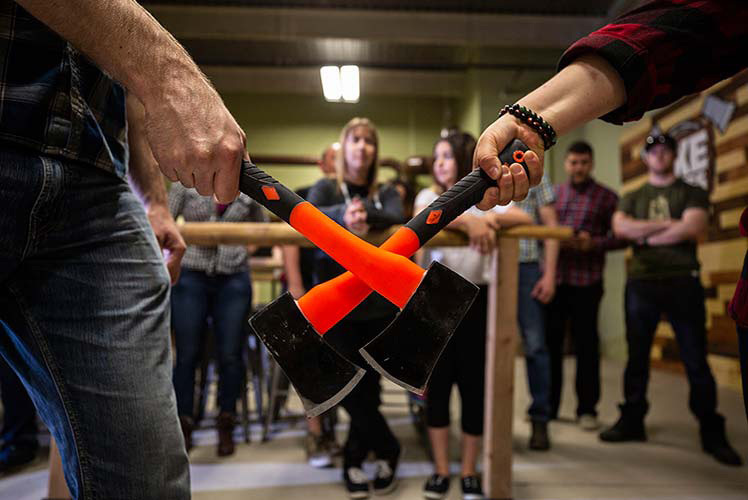 Axe throwing can be a fun event for the whole family, our experienced Axe Games coaches will have throwers as young as 10 years of age hitting bulls-eyes in no time. At Axe Games we offer 2 affordable axe throwing options: a shared 1 hour open axe throwing lane option ($19.95/person), as well as 2 hour private axe throwing tournament option ($29.95/person). Don’t worry if it’s your first time axe throwing. 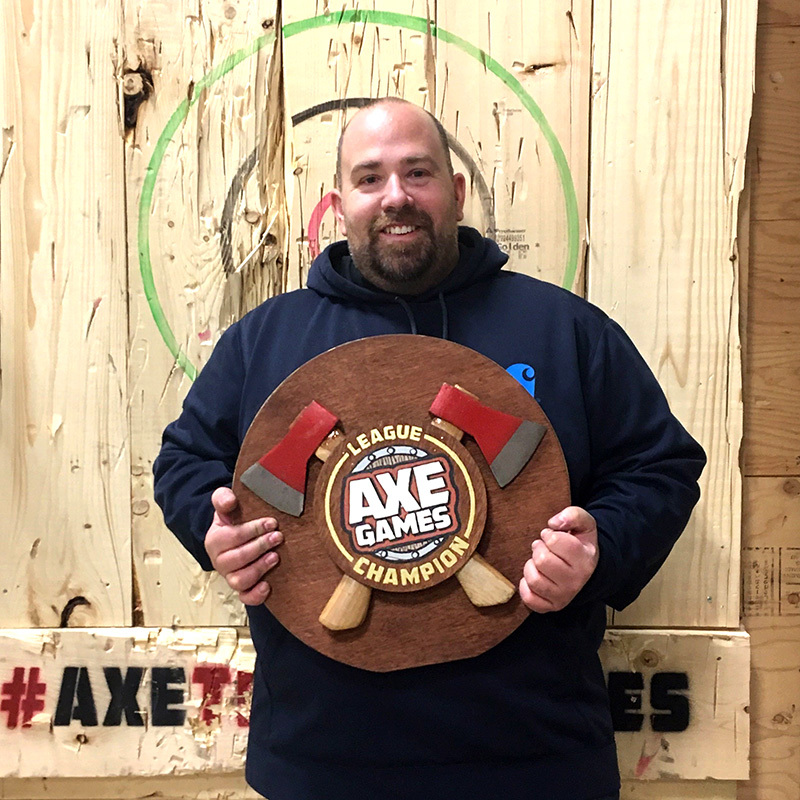 An Axe Games coach will cover rules, how to score & axe throwing techniques before you start! Axe lane rentals start and end on every hour on the hour. You will be given a score-sheet and your Axe Games will be self-scored amongst the group. If you have booked with less than 8 players you may be sharing the lane with another group. If you have more than 30 players please give us a call at 402-315-9577 so that we can better accommodate your booking! We also have archery arena tag at our facility! Looking to add on an archery game to your axe throwing event?